Fertility can be defined as, the natural ability of women to produce their offsprings. Many factors may affect a woman’s fertility, such as age, genetics, Harmonal imbalance, medical condition, environment, lifestyle, etc. AMH is a dimeric glycoprotein of the transforming growth factor-β (TGF-β) superfamily. AMH is involved in cell growth and differentiation. The first immunoassay Anti-Mullerian hormone were developed in 1990. AMH is a hormone produced by the small immature follicles within the ovary. AMH production was first demonstrated by Hutson et al. AMH is also known as Mullerian inhibiting substance (MIS). The AMH level depends upon the size of the ovarian reserve that remain in a woman. Ovarian reserve is the number and quality of follicles in the ovary at any given time. If there are many immature follicles, the AMH level is high. As a woman grows older, and the pool of eggs decreases, the AMH level also declines. Therefore the AMH levels becomes unpredictable when menopause occurs. According to the research AMH levels is used as an Ovarian reserve marker since 2002. Evaluation of ovarian reserve is recommended for patients who are at risk of decreased ovarian reserve (DOR). Many researches have shown that serum AMH levels is the best measurement of ovarian reserve and it is very important in many clinical situations, such as infertility treatment, measures reproductive lifespan, Polycystic ovarian syndrome and ovarian surgery. Moreover, AMH helps in improving the efficiency and safety of IVF. Normal AMH levels: It ranges from 1.5 to 4.0 ng/ml, that are associated with increased fertility and give better response rates to fertility treatments. Low–Normal AMH levels: It ranges from 1.0 to 1.5 ng/ml, that are associated with decreased ovarian reserve but still there is chances of good pregnancy outcomes. Very low AMH levels: It ranges from below 0.5 ng/ml, that suggest decreased ovarian reserve, so there is very nominal or no chances of fertility. Gonadotropin hormone regulates the serum AMH levels and during the early stages of follicle development (when the follicle measures less than 4 mm), AMH levels are highest. When follicles grow larger, the production of AMH slows down or stops. According to some findings, when the follicles reach 8mm, there is no AMH production. These all factors affects the AMH levels. Early menopause occurs when AMH levels become lower in younger women at age 35 and below. According to the research the breast cancer risk in premenopausal women is increasing due to high AMH levels. Women with PCOS, have many small follicles (cysts), so in PCOS the AMH levels are always high. Women with high AMH levels are at a greater risk for OHSS (ovarian hyper-stimulation syndrome) too. Can Lifestyle Factors Affects AMH levels? Yes! It is true if women get excessive exposure to toxins can affect ovarian reserve and decrease their AMH levels. Heavy smoking is linked to low AMH levels and early menopause. Long-term exposure to sources of environmental smoke, like that from indoor heating is linked to low AMH levels. Drug treatments like chemotherapy can cause decreased AMH levels and decrease in ovarian reserve. Fertility is the most beautiful and very important attribute of female life. At the present time, there is more tendency to postpone their pregnancy. It is totally dependent on women’s age. Therefore, oocyte factors like decrease in women’s eggs quantity and quality are most responsible for decrease of fertility in women of late reproductive age. From the above discussion, Anti-Müllerian (AMH) hormone is the best endocrine marker for assessing the age-related decline of the ovarian reserve in healthy women. 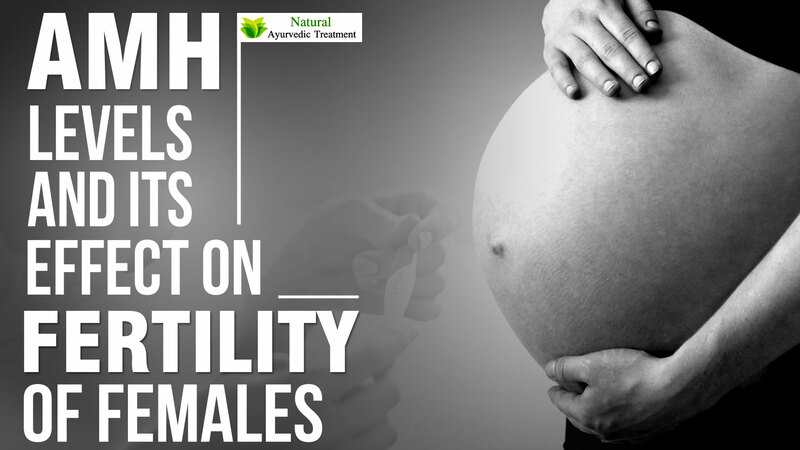 Therefore, AMH is considered as an indicator of fertility in late reproductive age of women. These herbs can coordinately control vitiated ‘Vata’ which causes irregular, painful menstruation, and excess ‘Pitta’ which causes heavy bleeding. These capsules are important herbal formulation for overall female health. The capsules are helpful in regulating female menstrual cycles, strengthening female reproductive system, treating leucorrhoea, regulating female hormonal system, and treating painful menstruation. Dosage: 1-2 capsules, two times a day, with water or milk, after meals. These capsules are prepared from the extracts of the ‘Shatavari’ herb (Asparagus racemosus) which has the ability to enhance the overall strength of the body. The herb is known for its excellent antioxidant properties, and it can nourish the tissues of the body. 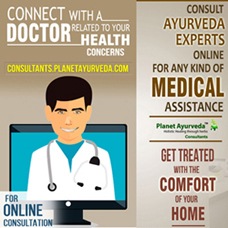 The use of Shatavari capsules can be beneficial for managing AMH levels in women because these capsules can support the female (and male) reproductive system, treat painful menstruation, maintain a healthy immune system, cure fatigue and general weakness, promote healthy energy levels, and treat anaemia, ovarian cysts, and uterine fibroids. The herbal components of Chanderprabha Vati tablets have the combined ability to support female (and male) reproductive organs, treat genital and urinary tract problems, eliminate toxins from the body, purify the blood, treat ovarian cysts, shrink fibroids. Dosage: 2-3 tablets twice a day, with plain water, after meals. The standardized extracts of ‘Brahmi’ herb (Bacopa Monneiri) are used for the preparation of these capsules. The herb has immense therapeutic value, and is widely known in Ayurveda as an excellent health tonic, aphrodisiac and memory enhancer. The use of these capsules can strengthen the immune system, regulate blood pressure, promote mental health, remove free radicals from the body, reduce stress and anxiety, and relieve inflammatory conditions. Dosage: 1 capsule twice daily, with plain water, after meals. This amazing herbal powder is prepared from a potent herbs Ashok (Saraca indica), Lodhra (Symplocus racemosa), Arjuna (Terminalia arjuna), and Udumbur (Ficus glomarata). This can manage a number of female-health problems. The herbal ingredients of this churna help to manage several problems faced by females, like Menopausal Syndrome, ovarian cysts, uterine fibroids, painful menstruation, irregular or heavy monthly periods, dysfunctional uterine bleeding, and pre-menstrual syndrome (PMS). Dosage: 1-2 teaspoonful of the churna, two times a day, with water or flavoured juice or iced tea, after meals.